The J.M. 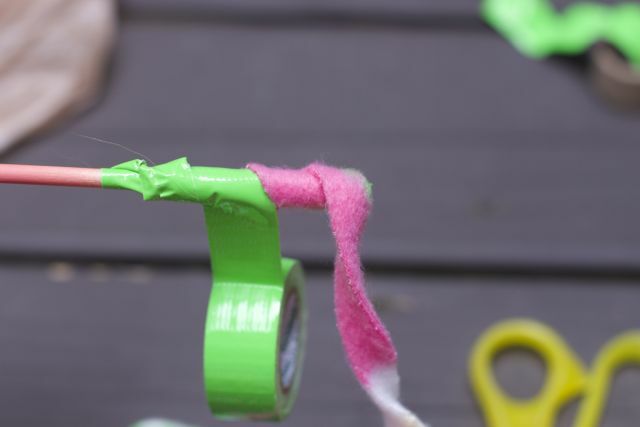 Smucker Company sent me free product samples and asked me to blog about it and we created this fun DIY Cat Toy. 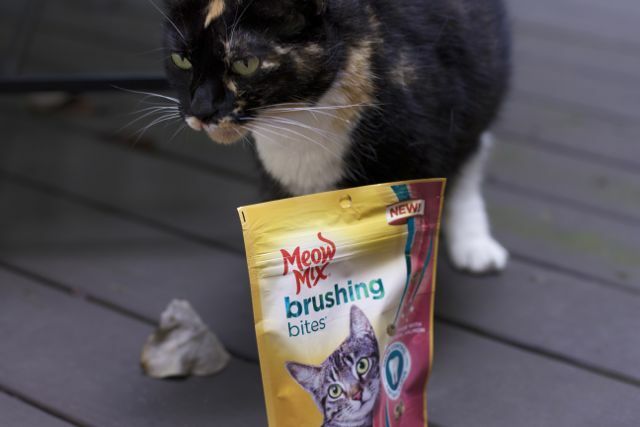 Reward your cat with the New Meow Mix Brushing Bites as they are a tasty treat that help care for your cat’s teeth! 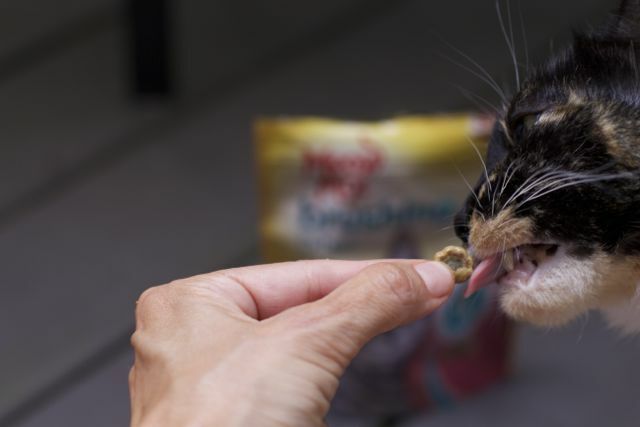 You can tell Lacy loves these Meow Mix Brushing Bites and best crunchy treats that help keep your cats teeth clean when fed daily. 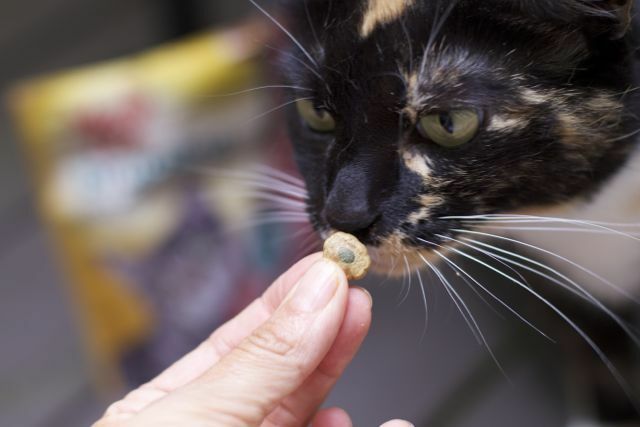 Why not reward them also with a fun DIY Cat Toy that has two choices to play with. 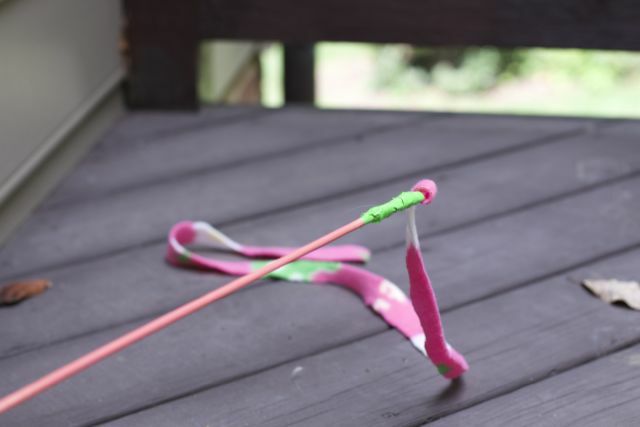 If you have any leftover fleece fabric and ribbons and a wooden dowel or old plastic rod you can have a new toy for your cat done in a matter of minutes. 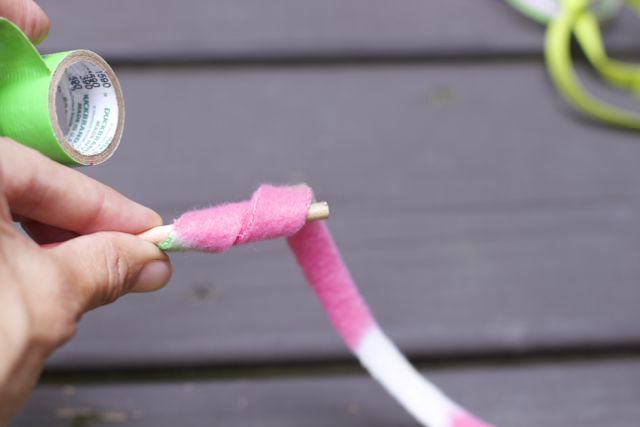 This is a great an easy toy the kids can make for your cats or donate to a local shelter to help engage your animals in great exercise. Attach the fleece to the wooden dowel firmly. 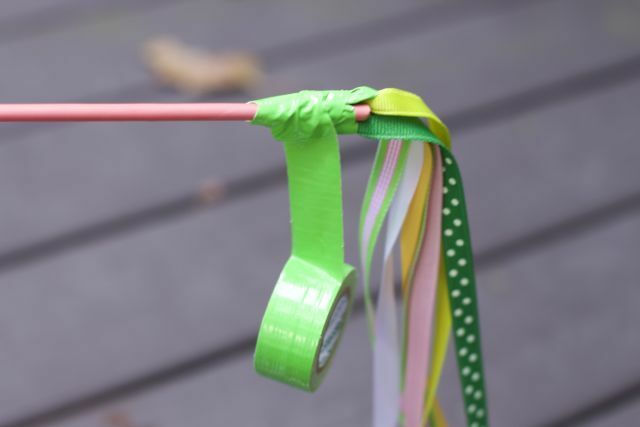 For the other side, secure the tops of the ribbon with duck tape.Attach to the other end of the dowel as you did with the fabric. Now you have different toy options for your cat or a toy you can use with two cats! Not only are these treats helpful in reducing plaque and tartar when fed daily but they are fortified with Vitamin D and Calcium to help support strong teeth and bones. 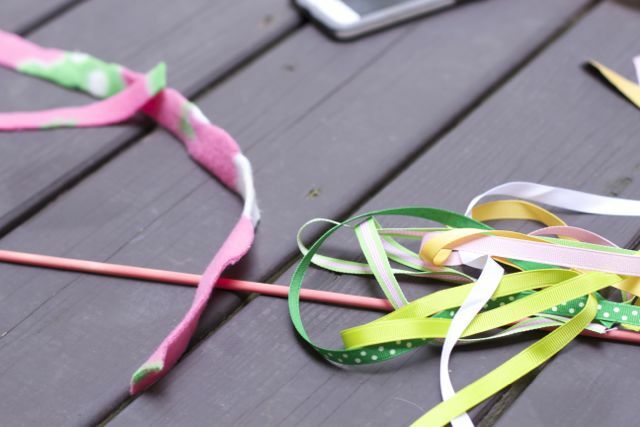 Which side of the DIY Cat Wand Toy would your cat enjoy? Would they enjoy the Meow Mix Brushing Bites? My cats would love this toy, and I think we have all the supplies on hand. 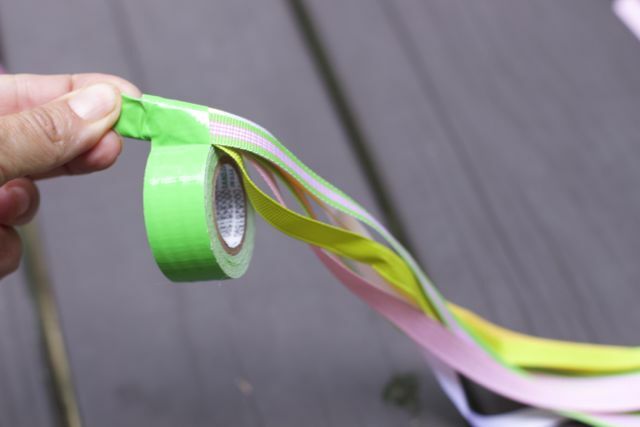 I’ll be helping my 7 year old make a fun ribbon toy for her cat tomorrow. Thanks for the great idea. My orange fluff ball would love that toy and the treats. He is a treat fiend!